Vectra 3D protects your pets against parasites and pathogens. Vectra 3D uses a three pronged approach to keep your pet safe from disease carrying agents by utilizing Dinotefuran, Permethrin and Pyriproxyfen. The Dinotefuran is an insecticide that functions by causing continuous stimulation of the nervous system of insects upon first contact. This stimulation leads to tremors and quick deaths in insects as they land on your dog. Permethrin is an adulticide and works to repel vectors, such as mosquitoes, ticks and sand flies by causing them to lose control of their nervous system. Lastly, Pyripoxyfen, an insect growth regulator, works to prevent development of fleas in their early stages. This keeps them as eggs, larvae and pupae until the other active ingredients functionally decimate them. Vectra 3D has been clinically shown to provide fast-acting protection against multiple pests lasting up to one month. In addition to repelling mosquitoes, ticks, and sand flies, Vectra 3D repels and kills fleas, lice, and mites quickly and effectively. In fact, it has been shown to reduce the number of ticks in only 24-hours and begins killing fleas within the first two hours of use. 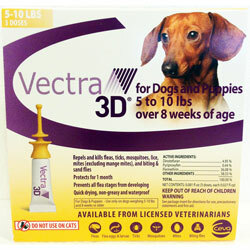 Vectra 3D remains effective after bathing and it can be used on dogs and puppies older than 7 weeks. Vectra 3D comes in 4 dosing sizes based on your dog’s body weight.  The product is available for all weights in packs of 3-doses and packs of 6-doses. Vectra 3D Green for Dogs & Puppies is intended for dogs between 2.5 and 20 pounds and this particular package comes with 6 doses. For heavier dogs, use Vectra 3D Blue, Vectra 3D Purple, or Vecra 3D Red. Vectra 3D is also available for Cats and Kittens. Please read the application instructions thoroughly before applying Vectra 3D to your pets. See package insert for directions for use, precautionary statements and first aid. The dog should be standing or in a comfortable position for easy application. Holding the applicator tube upright, place thumb and index finger around the applicator tip under the large disk. With other hand, grasp the stem of applicator tip above smaller disk. Press down firmly on small disk until both disks meet, piercing the seal. Using the tip of the applicator, part the hair down to the level of the skin and slowly apply the product. Avoid superficial application to the animal's hair. For dogs weighing 2.5 to 20 lbs, apply the product to one spot onto the skin, squeezing the applicator tube until empty. For dogs weighing 21 To 55 lbs or for dogs weighing 56 To 95 lbs, apply the product evenly to three spots along the dog's back, beginning between the shoulder blades and continuing in the order shown in the diagram, squeezing the applicator tube until empty. For dogs weighing over 95 lbs, apply the product evenly to four spots on the dog's back, beginning between the shoulder blades and continuing in the order shown in the diagram, squeezing the applicator tube until empty. Discard empty applicator tube as outlined in the storage and disposal. Repeat every month, or as recommended by your veterinarian. 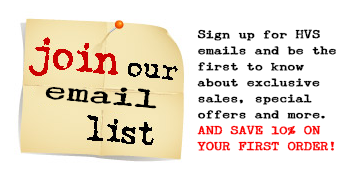 Do not apply in less than 30 days. For treatment, control and prevention of fleas, flea eggs, flea larvae, flea pupae, ticks, mosquitoes, lice, sand flies and mites, year-round treatment is recommended. Store in a cool, dry place. Protect from freezing. Disposal: If empty, do not reuse the container. Place in trash or offer for recycling if available. If partially filled, call your local solid waste agency for disposal instructions. Never place unused products down any indoor or outdoor drain.